One real estate firm is giving away a Mini Cooper (which retails for about $25,000) as a broker perk for closing a deal. You get a car! And you get a car! But only if you can help us rent this retail space on Madison Avenue. 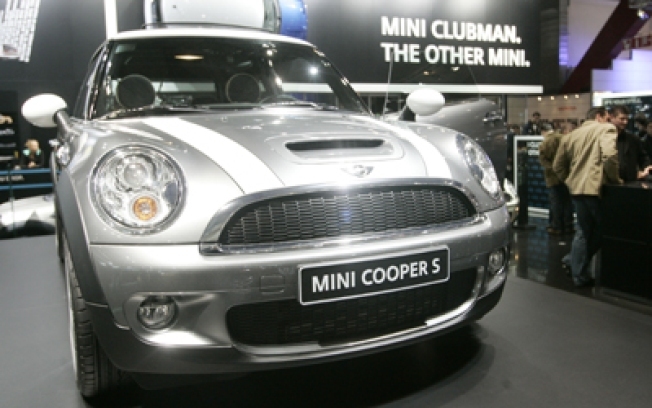 Seriously, get a signed lease and this Mini Cooper is yours to keep. Speaking of real estate hell, remember how awesome and shiny everything seemed in 2005? That's when Corcoran peered into the future and saw that Harlem would soon be where you'd pay through the nose to live - so they opened an office there. Which is now closing. We should probably talk about the French-fry-and-hot-dog pizza at Reginella on Atlantic, though we'd rather not. Attention New York ladies: Ditch your broke banker boyfriend, and upgrade to a full-fledged sugardaddy! Are you excited for the Thom Browne/Brooks Brothers collab Black Fleece? Because the shop on Bleecker may open within 24 hours. Thanks to a preposterous legal settlement, the cramped Plaza penthouse with the obstructed views is now back on the market -- for just $53.5 million. Think this is cold? Broadway staple, buff crooner, and unofficial Nawlins mayor Harry Connick, Jr. says shooting a movie in Winnipeg froze his face. And beard. And eyelashes. …ICYMI: The Times has a handy primer on how to haggle yourself a discount on high-end furniture.